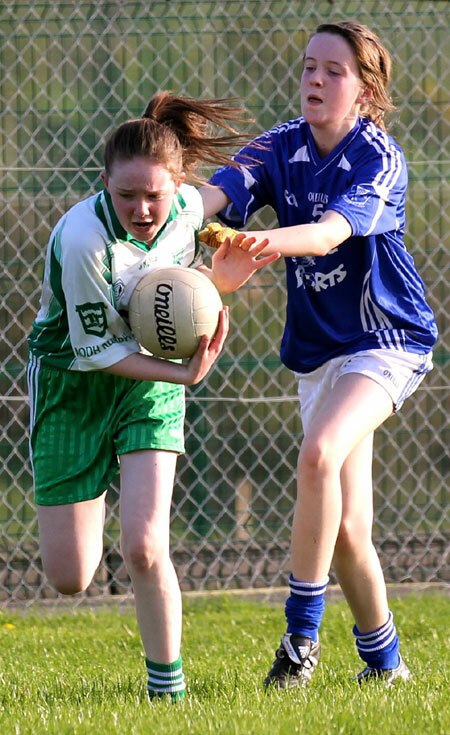 Aodh Ruadh and Four Masters fought out a tough battle under a glorious sunshine in Tir Chonaill Park for the first league game of the season. 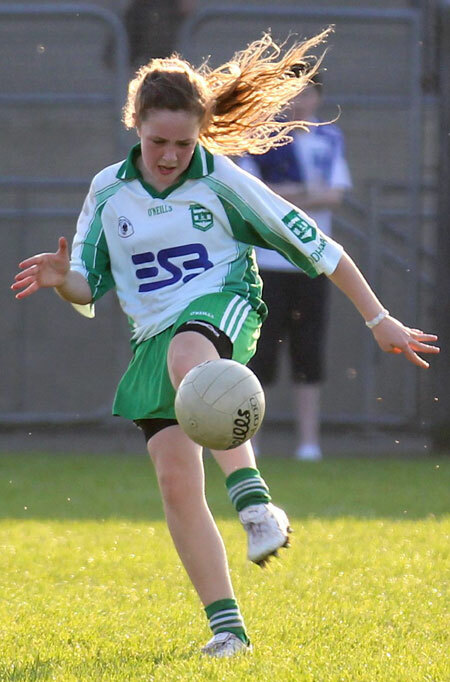 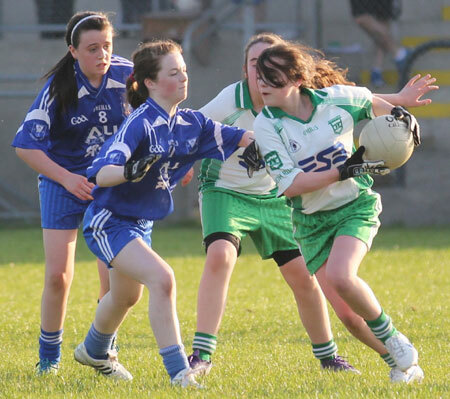 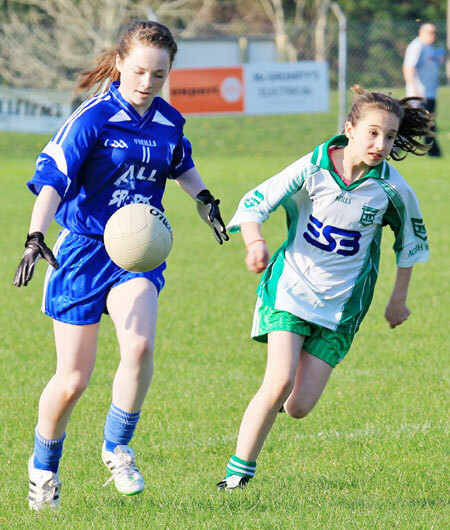 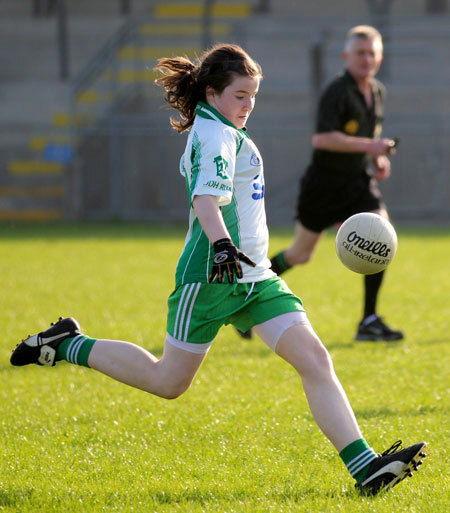 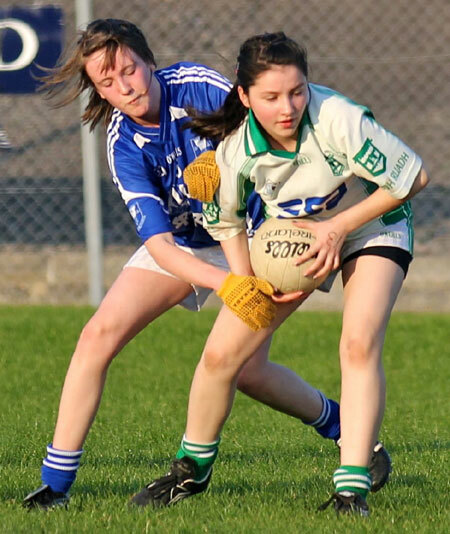 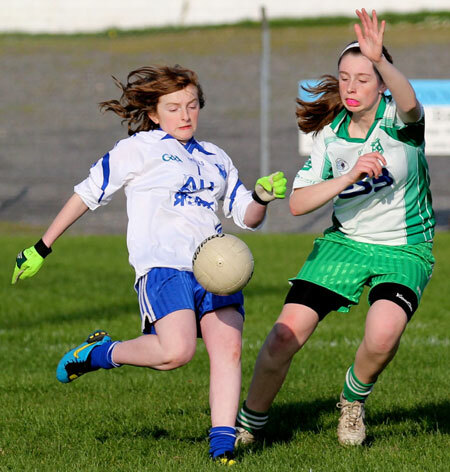 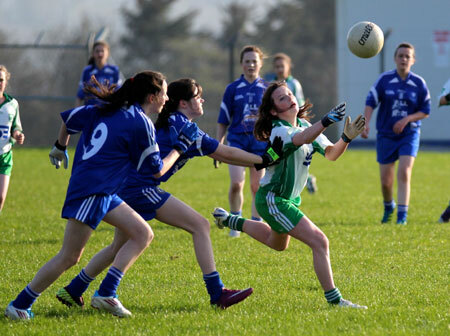 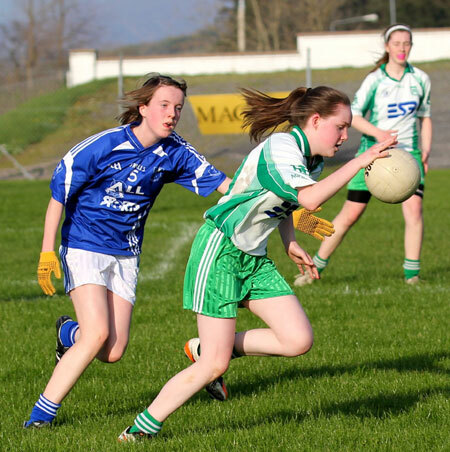 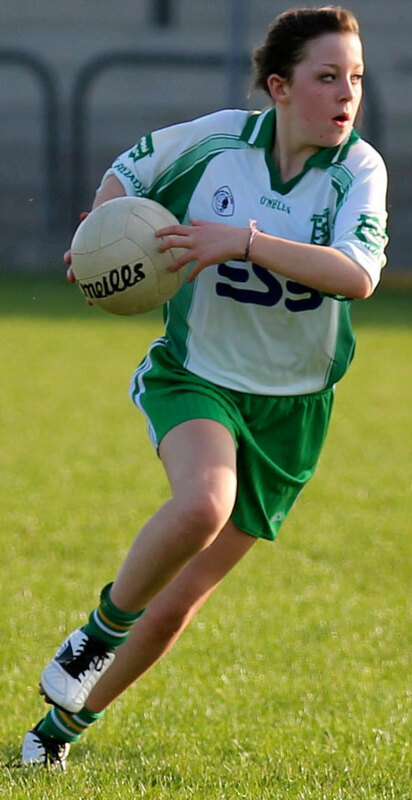 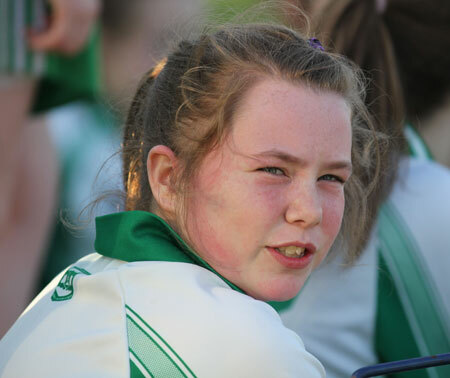 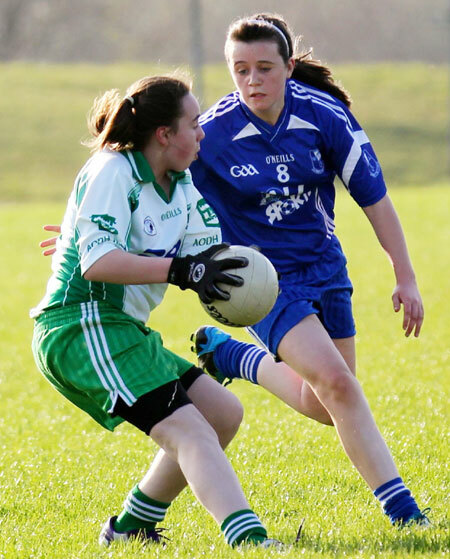 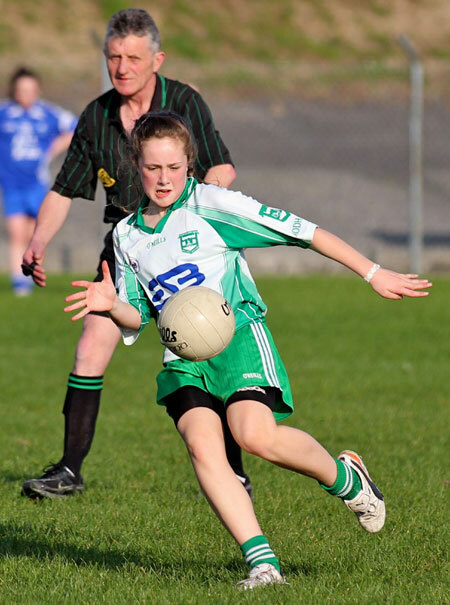 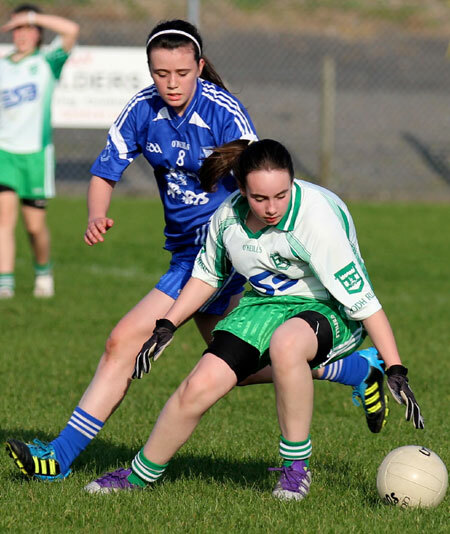 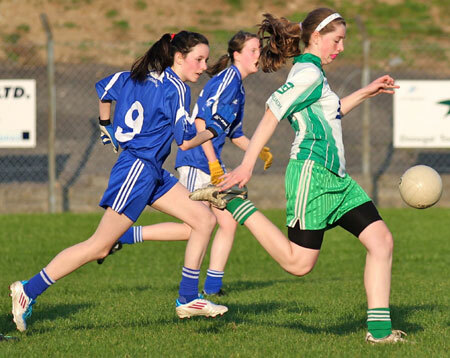 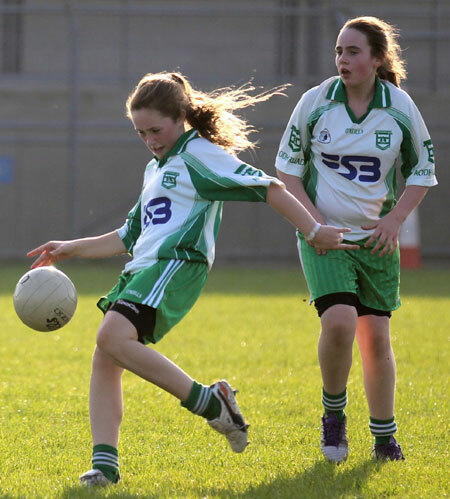 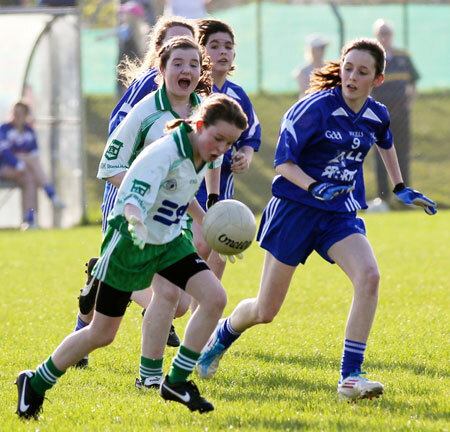 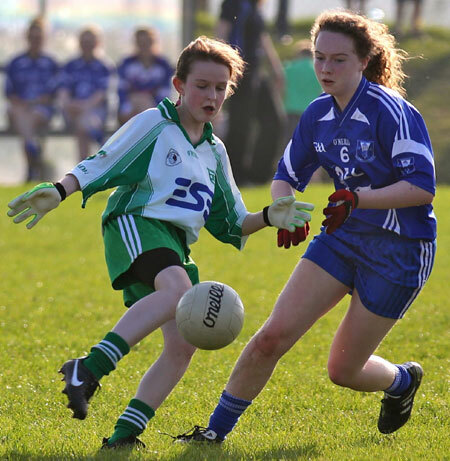 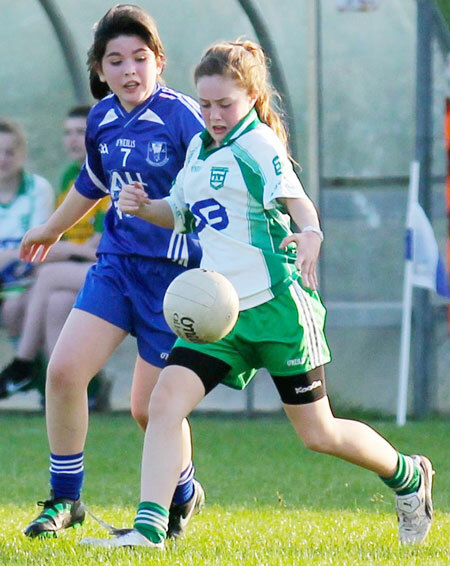 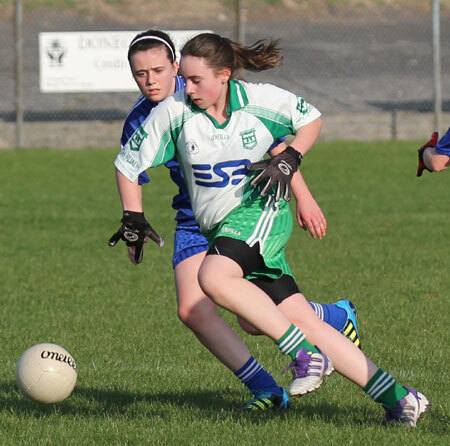 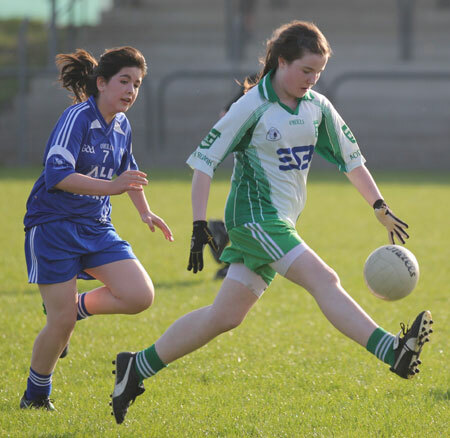 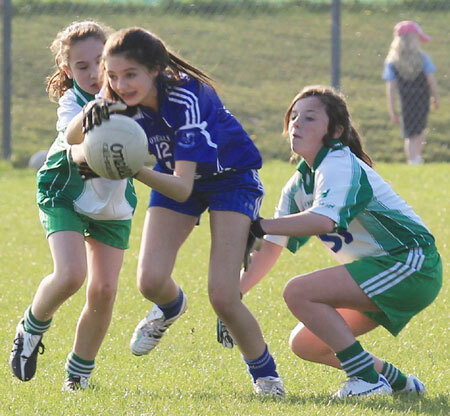 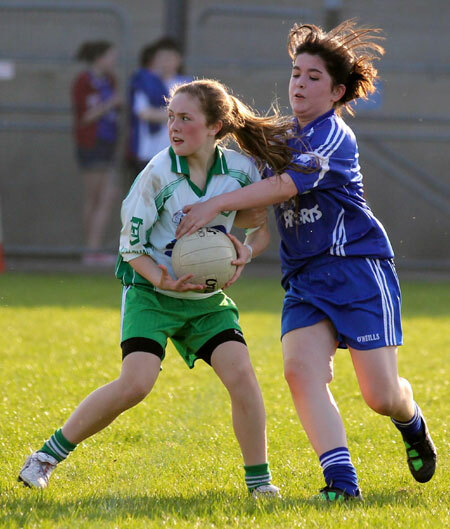 The Donegal town girls had the better start with the first few scores early on but the Ballyshannon girls soon settled into the game and contested keenly throughout the field. 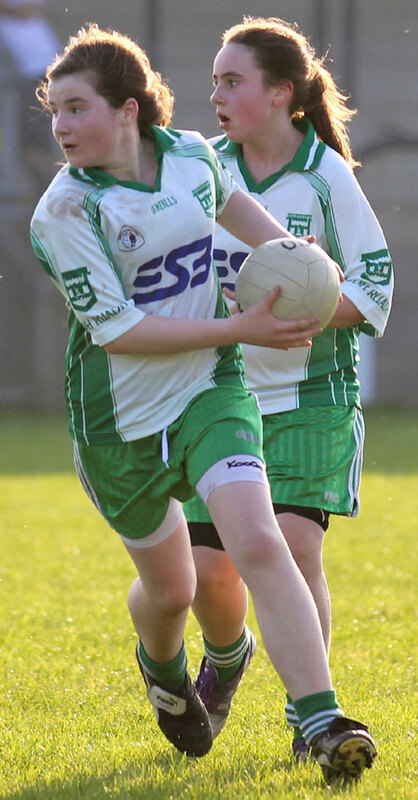 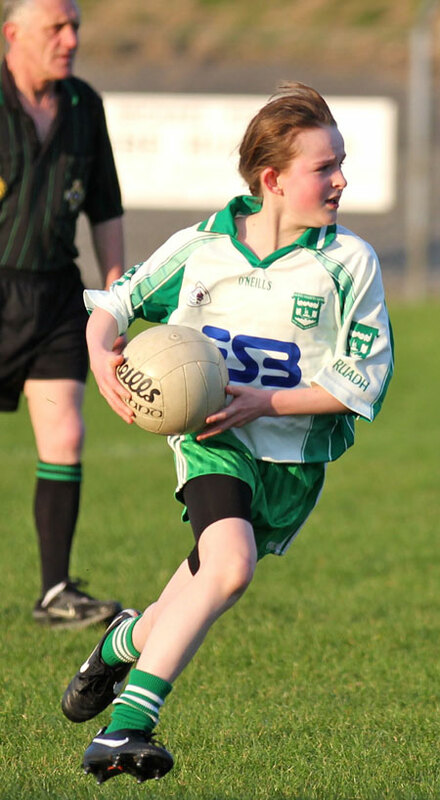 Aodh Ruadh showed great control for stages of the match but initially struggled to make this count on the score board. 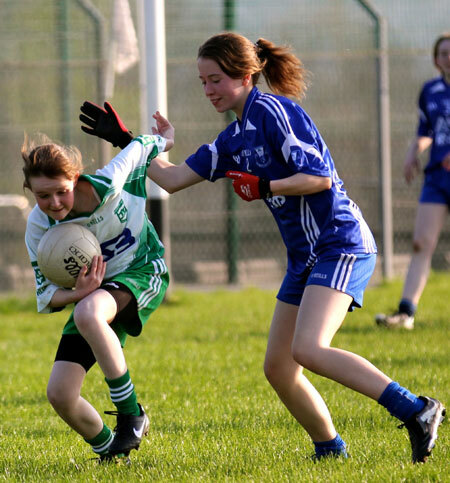 As confidence grew the pressure amounted on the Four Master's back line and they were very fortunate not to have conceded more in the ten minutes before the break. 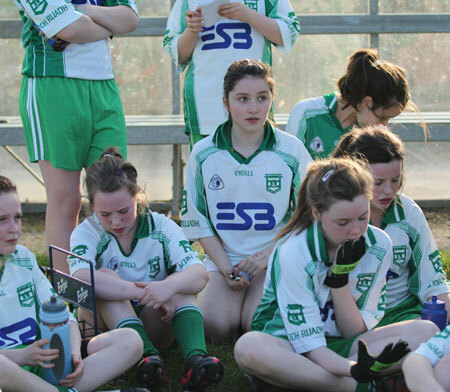 The Ernesiders went in at half time trailing by 2-6 to 1-1. 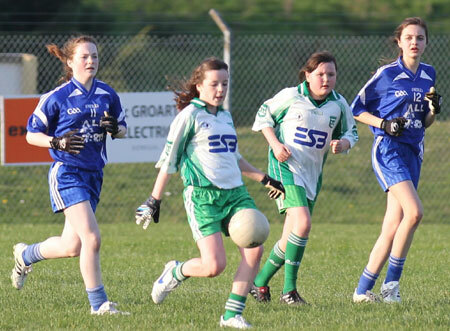 The second half saw a continuation of the great intensity with end to end stuff and scores swapped freely. 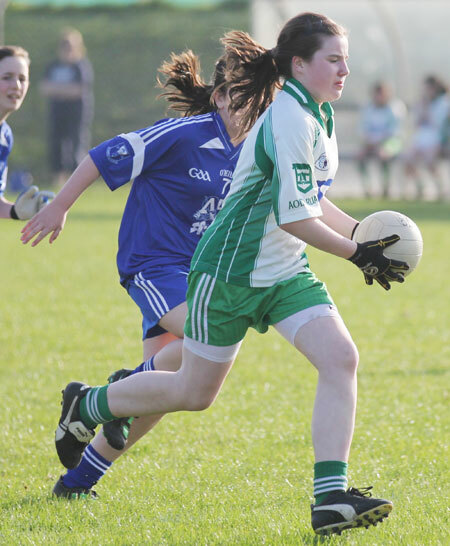 Aodh Ruadh came to within two points of their rivals but unluckily failed to capitalise on their stages of dominance and it was Four Masters who were to embark on a very late scoring spree to leave the final score at 2-13 to 3-03. 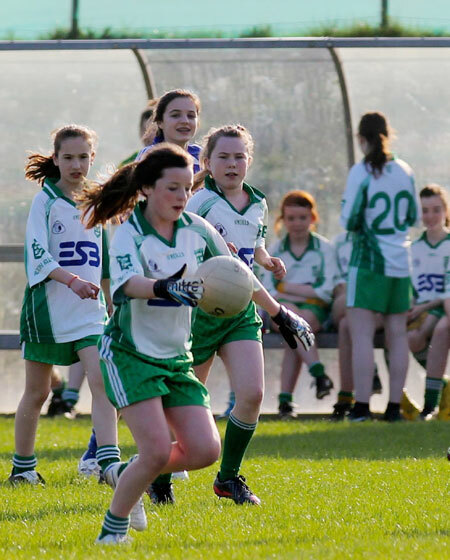 Kelsie Warren; Lorna Mattews, Aoife Bromley, Louise Mahon; Leona Cleary, Laoise O'Connor, Laoise Gallagher; Shelly Loughlin, Orlaith Gillespie; �ine Gillespie, Mary Flora Scott, Dearbhaille O'Moore; Rebecca Gillespie, Meabh Rooney, Aoife McDevitt.